This android app is for KSEB domestic consumers to know their bill amount. 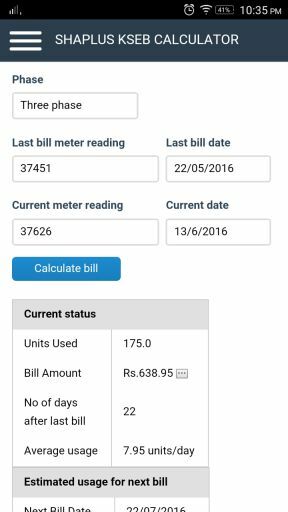 Just enter the last bill meter reading and current meter reading to know the bill amount. Based on your average usage, it will also estimate your next bill amount. KSEB is electricity provider in Kerala state in India.